Though there are “bad” things happening all the time, and we hear about it incessantly through every source of media, for several years I have chosen to try to see something good each day. I usually see it in natural things. Or the sound of frogs singing in the night. What I’m trying to say is though there is a lot of bad in the world, there is a lot of good and beautiful things too. And I have found that the good outweighs the bad. I have also found that God is with us, no matter what. In my own experience I know that when I’m going through a trial God is holding me in His arms, if I lean in, He hugs me tighter. If you know what I’m talking about, then you have a precious gift. If you don’t, then I’m sorry for you. Life it too short to dwell only on the bad, especially when there is something good offered. Like a relationship with Jesus Christ. God loves you and wants you to enjoy the life of peace and joy He offers. Being at peace with God doesn’t come naturally. Because of our sin we are separated from Him. God is holy and we can’t measure up to His perfect and holy standard. But God loves us so much He provided a way to close the gap of separation between you and Him. When Jesus Christ died on the cross and rose from the grave, He paid the penalty for your sin. You cross the gap of separation into God’s arms, into His family, when you accept Jesus Christ’s free gift of salvation. To receive Christ, you need to do four things. Talk to God today and make a change for a better life. Often times I have time left on my lunch break, after I eat. 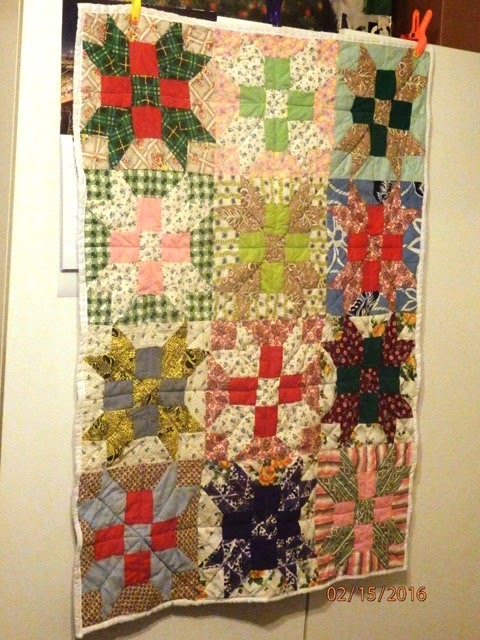 If I’m not reading or visiting antique/flea markets, I will be working on a crocheted or hand sewn project. 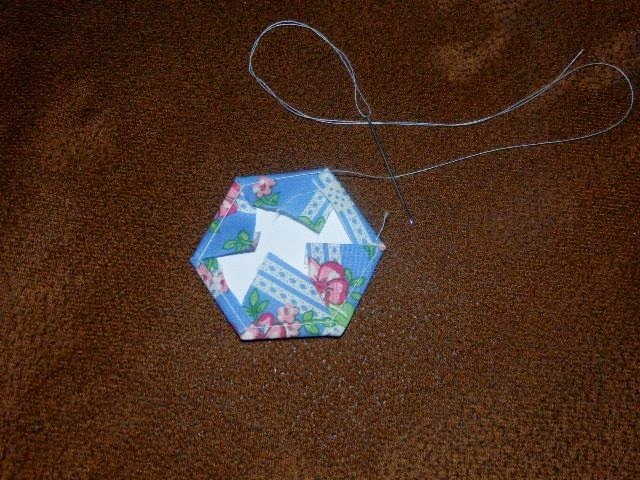 I recently bought a small English Paper Piecing kit to give it a try. I must admit I didn’t expect to like the process but wanted to try it, just to say I did. Surprise…Surprise! I truly like to English Paper Piece. 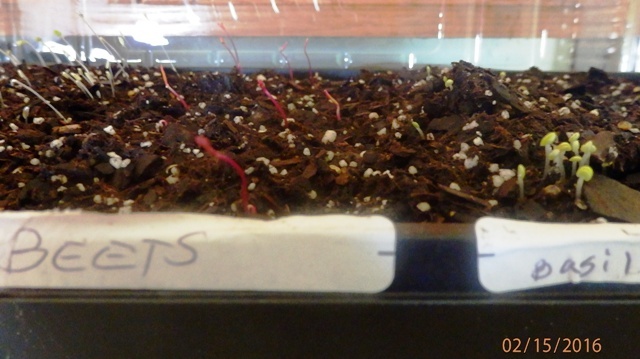 It is a great way to work on a project when you are limited in space or time. Here’s how it’s done. A template is used to create the shapes. Feeling for the edge of the template as you stitch allows you to keep your stitches even. You do not stitch through the template in this method, making the template reusable. 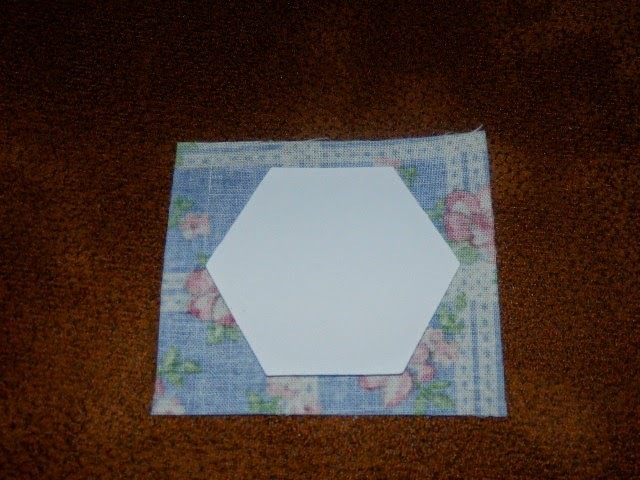 The templates are made of heavy stock paper, cardboard, plastic, Mylar, or acrylic. I’m using heavy stock paper templates in this project. 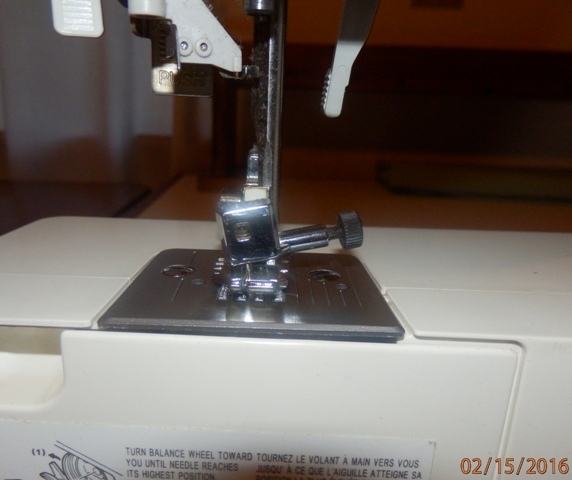 Place template on wrong side of fabric, can pin in place to keep it secure. 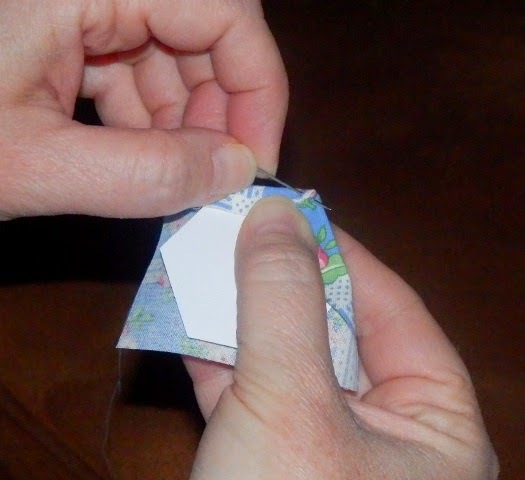 Fold fabric down over edge of template firmly on two sides, creating a sharp corner in the fabric and tack down. Move to next two sides and repeat. I figured out, while I was working on this to tie square knots at each corner instead of tacking, then clipping each time. It made the process go faster. Square knot: right end over left and through, then left end over right and through. 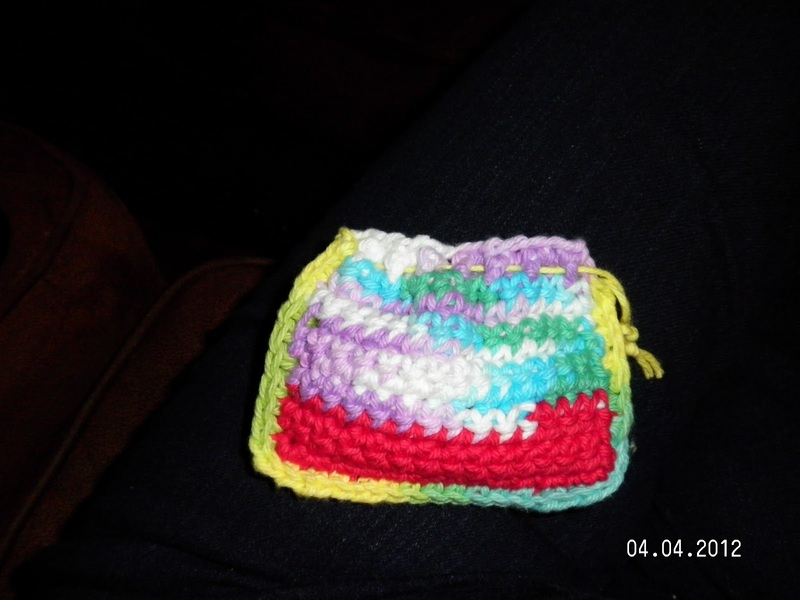 Stitch a center block and six outer blocks. Use a whip stitch to stitch the outer blocks to the center block using the top edge of the template as a guide to stitch. Once the outer blocks are stitched to center block, trim the fabric overlap on the center block to 1/4″ and remove template. Can reuse the template later. 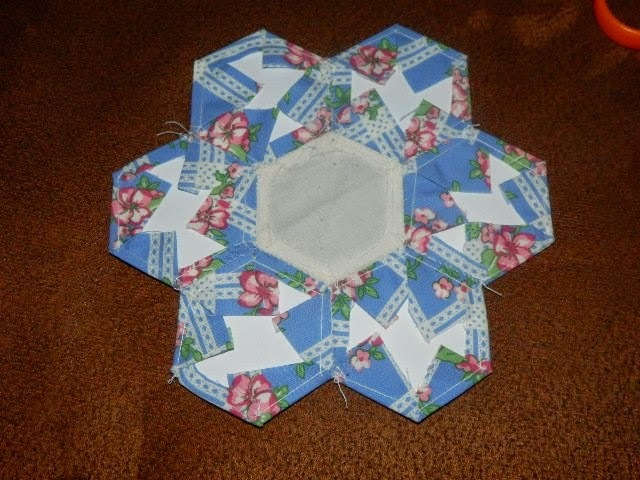 Once the center template is out, you can then fold the piece to stitch the sides of the outside pieces together. 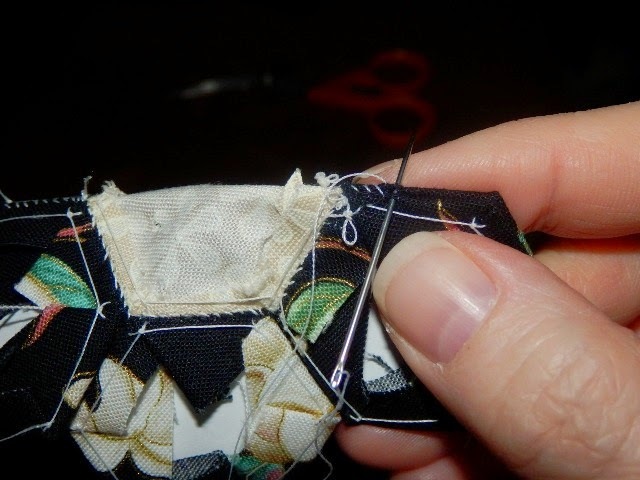 Once you have the sides of the outer pieces sewn together, trim the overlapped fabric to 1/4″ and remove the templates. 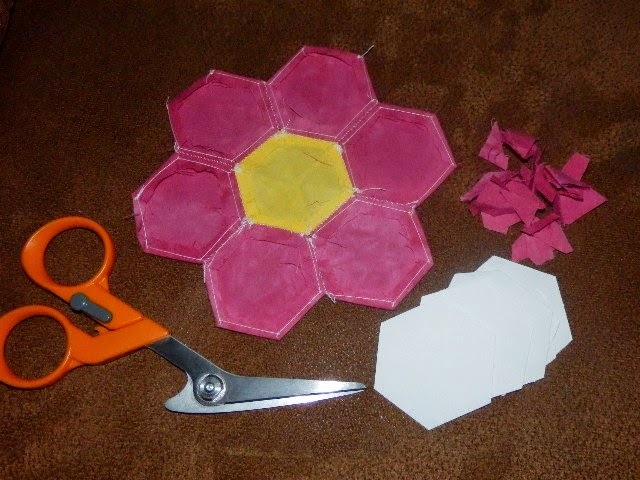 If using paper pieces you can press before you remove templates. Otherwise, press after templates are removed. Here are some samples of finished blocks. 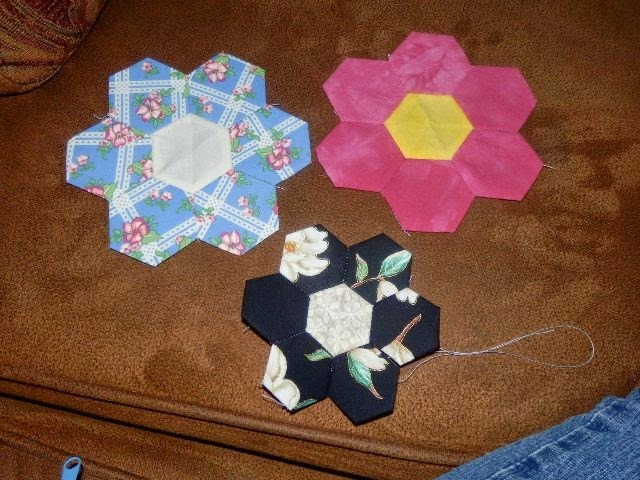 The smaller one is made using 1″ blocks of fabric and smaller template. I think these will look nice on a background with appliqued stems and leaves, creating a bouquet of flowers. 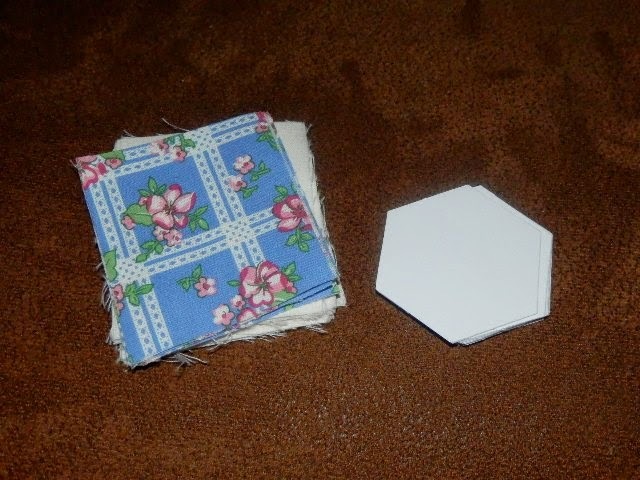 If you would like a easy small hand sewing project, try out English Paper Piecing. There are several ways to do it and you can find all kind of videos for it on YouTube. I prefer this method the best. The first day of August…can you believe it? This year has flown by and it seems each year it flies by faster than the last. I think the reason it has hit me so hard this year is that my daughter (my youngest) is turning 17 this month and starting her senior year of high school. It seems like it was just yesterday that my son graduated high school, but he has been out for a while and graduated college this year. Then top it off with Christmas being only 20 weeks and 3 days away and only 74 available days to get my Christmas projects and gift done. Goodness! I usually go into what I call a “nesting mode”, where I bake more, sew more and craft more. 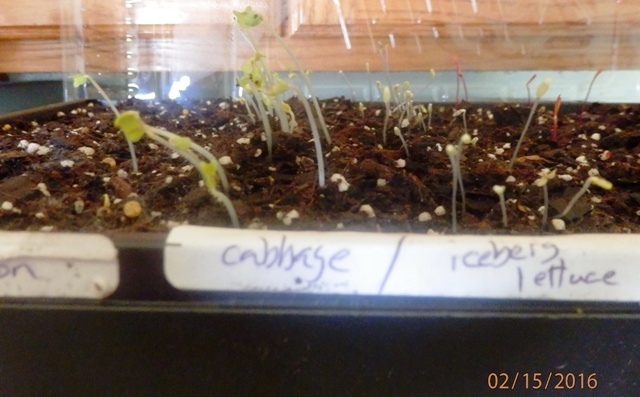 It usually happens in late summer or early fall, but I need it to kick in earlier this year or I may not get everything done on time. So, to help myself out, I have started a list of “To Do’s”. Do you ever do that and if so what motivates you to get it done? This weekend is tax free in Arkansas. Don’t live in Arkansas? 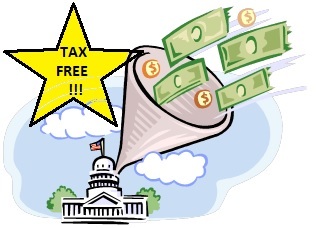 Here is a link to find out if and when your state has a tax free weekend. if you are like most people in today’s economy (I am), you are looking for frugal ways to stretch the budget. Here are some ideas I thought were worth checking out. 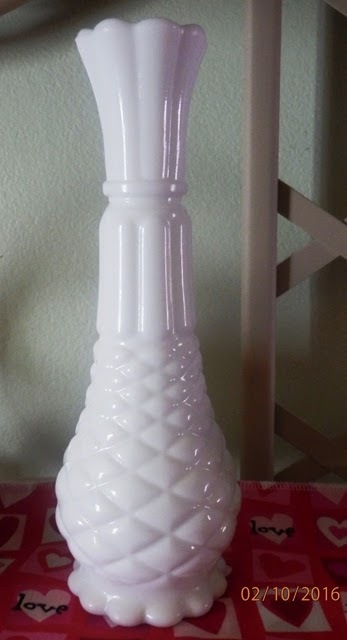 Here’s a cute gift idea around Christmas. Do you have old eyeglasses lying around? Why not turn them into cute snowmen ornaments? Do you have scrap yarn? Why not make a pouch to hold ear buds, etc.? There are lots of ideas, tips and guidelines for stretching your budget. Do your research, learn to think outside the box and before you know it, you can make a few bucks go a long way. PS check out the fun poll at the top of the page.